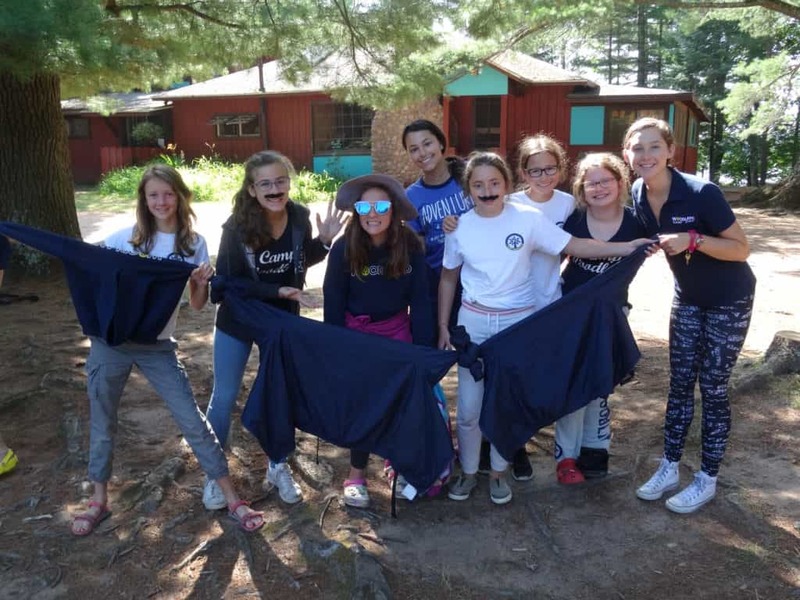 Camp Woodland | Happy Movember from Silver Birch! Happy Movember from Silver Birch! Movember is an annual event involving the growing of moustaches during the month of November to raise awareness of men’s health issues. As you can see by the ladies of Silver Birch, they jumped on this bandwagon a few months early! 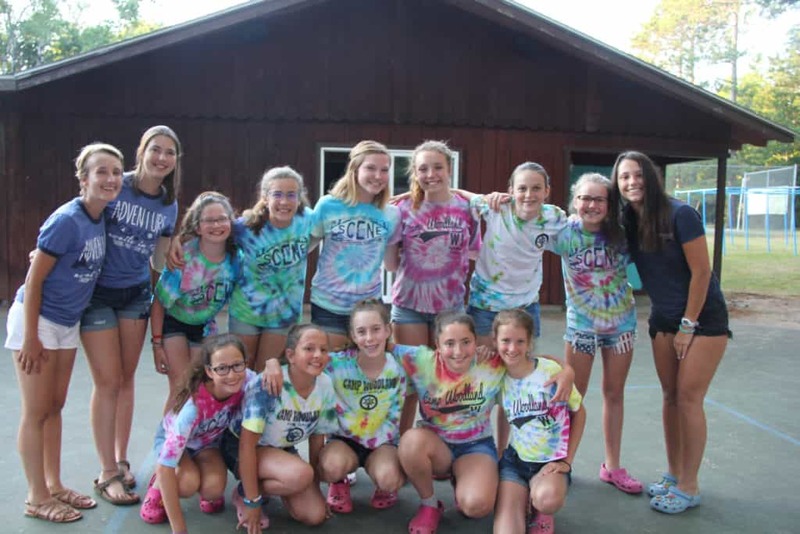 Since Towering Pines is the brother camp to Woodland, it makes perfect sense that we show love and support for our TP friends and family just a few miles away! Most days we tend to keep to our respective campuses; however there are several times throughout the summer when brothers and sisters (related or not!) 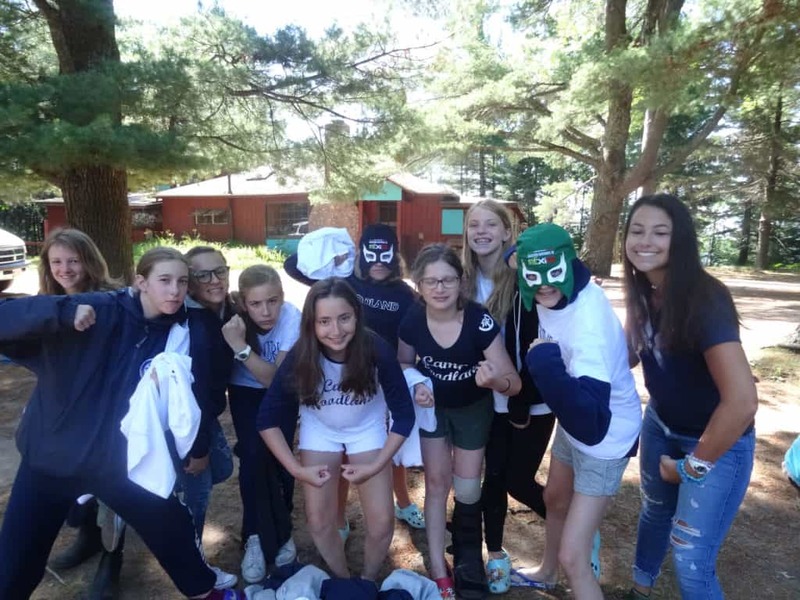 get together for some camp fun! The first big gathering of both camps is on the 4th of July; TP guys host the Woodland girls for the annual Red, White, and Boom Campfire. The evening begins with songs and skits by each cabin and ends with a dedication of fireworks on Lake Nakomis. As we cruise into the middle part of the summer, we schedule sail races, archery/riflery/tennis exchanges and competitions, trail rides, mountain biking extravaganzas, trips to the Aqua Tramp, and Zoo and nature swaps so that we can take advantage of what each camp has to offer just a short drive down County D Road. We end the season with the greatly anticipated TP and Woodland Fairs and Co-Ed Show which allow for more brother-sister interaction and camaraderie. Our set-up is perfect for knowing that “family” is close by along with the opportunity to be independent and “do your own thing” at the same time! Annie: I didn’t know a lot of people at the beginning and now I have new friends. Riley: I know more songs now! Molly: Before camp I ate no food, and I ended up liking every food at camp! Lucy: I can recall all the layers of the atmosphere. 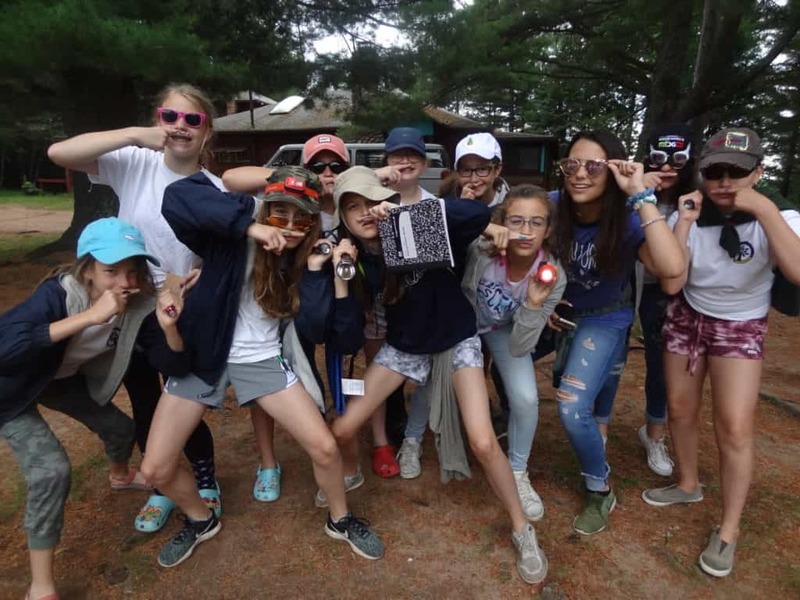 Ana: Sailing, some of the girls, dance moves, and pencil jumps. Katherine: I know now that it doesn’t matter if you accomplish your goals as long as you have fun trying. Ari: No one’s life is perfect; everyone has a story. Paloma: I learned a lot about myself this summer! Ellie: It’s OK to be nervous because people will always be there to support you. Annie: I tried to reach out to new friends. I stayed close to old friends and made some great new friends! Riley: Not being connected to technology. Molly: I tried a lot of new foods and activities. Lucy: I have healthy relationships and now push toxic ones away. Ana: I’m more responsible, mature, and confident when by myself. Katherine: Not worrying about how I look and just have fun. Paloma: I am more confident with myself and more positive. Ellie: I am more confident than I was before. Annie: We shared a lot of our opinions and thoughts on stuff; even when I didn’t agree with other opinions, I still respected them! Riley: I let others borrow my things and helped out with whatever they needed help with. Molly: I respect the opinions of others and make sure that everyone feels comfortable with their surroundings. Lucy: I always tried to defend my cabin mates in any way possible. Ana: I helped people when they were having a bad day or a problem and cheered them up. Katherine: I encouraged people to do things they wouldn’t have tried otherwise and making them feel good about it. Ari: I helped out when I could. Paloma: With a smile and being the best part of myself. Ellie: I cheered them up when they were sad. Annie: They respected my opinion. Riley: The CIT’s and people in Sunnyside were really nice and and welcomed me to Woodland. Molly: By talking to me and respecting me. 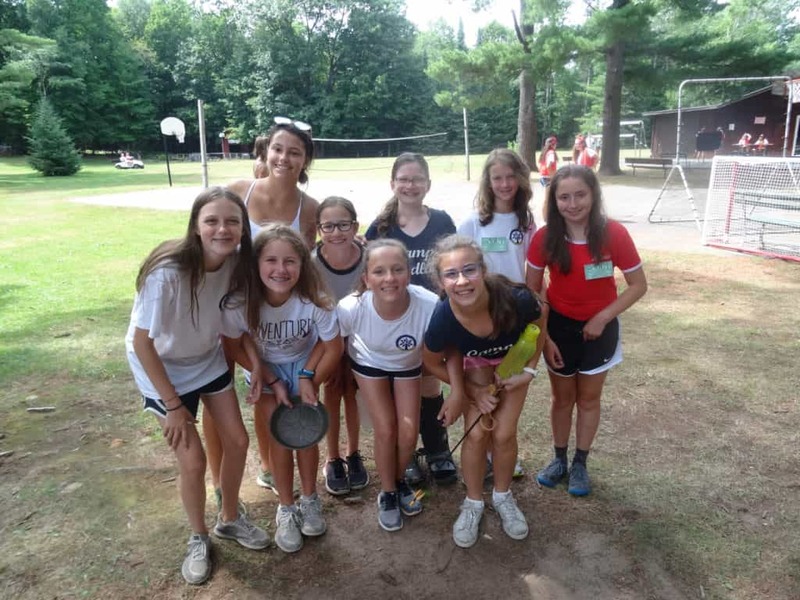 Lucy: Other campers welcomed me and showed me real fun. Ana: My friends helped me every time I was going through something rough. The counselors motivated me to do my best every time and to pass my levels. Katherine: By letting me borrow things or cheering me up when I was sad. Ari: By smiling at me or giving me a hug. Paloma: When I was new, others were really nice to me and accepted me. Ellie: By asking me if I needed help with my boot or holding the door for me.